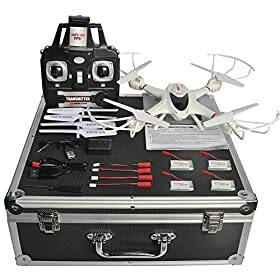 The world of cheap drones for beginners is changing every day, new innovations are being developed with the price of drones always decreasing. 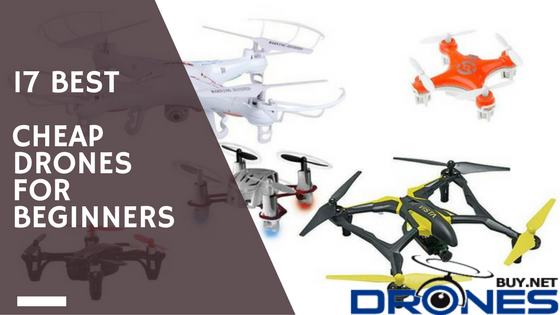 This is one of the reasons why drone quadcopters have become so common – a popularity explosion! 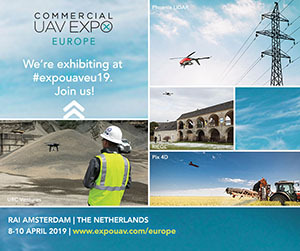 So much so, the drone industry is one of the fastest growing new developing technologies of our time. 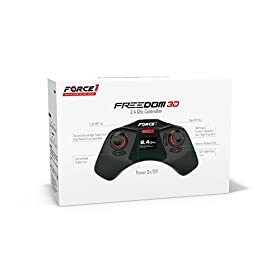 Today’s drones, even cheap ones, are having so much functionality, it becomes difficult to choose a beginner drone. So far the uses of drones have been fairly limited – mostly for aerial photography. We’ve also recently some stunts with drones, such as this drone skydive. But this, simple programmable machine that can fly, can be used for so many more activities – such as surveillance, aerial view of inaccessible areas, delivery of packages, warfare etc. In the military, drones are also being used to check and monitor activities before embarking on a mission. 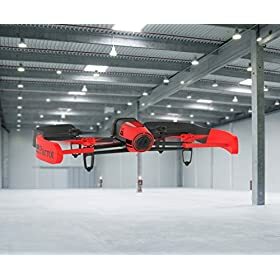 In the near future, we might also see that with certain drones, it would be easy to deliver a package in a short time – Amazon keeps innovating here. But enough about drones – today we’re going to have a good look at beginner drones, essentially these drones are great both for kids, but most especially for those who want to get started with drones. 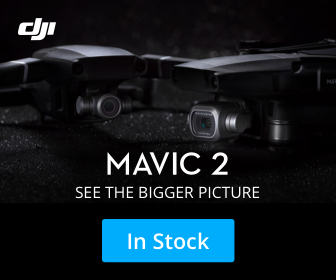 They’re essential for those who want to learn about drones, but don’t want to risk crashing a more expensive drone. 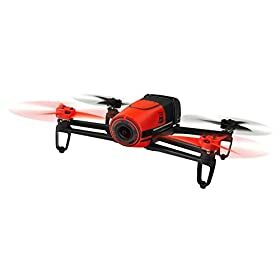 This list of cheap drones for beginners is going to be ordered in ascending order of price. 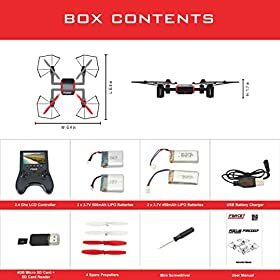 we will start with the cheapest drones first, and always ascend slightly in the price – but all of these drones are available for purchase now at the bargain price of less than $199. 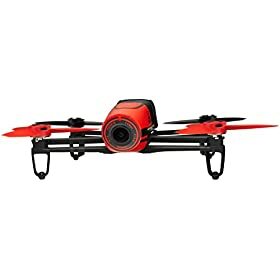 We start our list with X best drones under 100 dollars. As you can see the first drones are much less than 100 bucks! 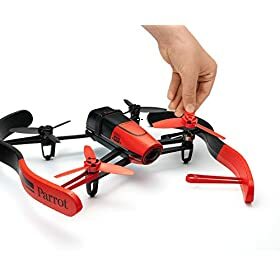 We call them cheap drones because they are VERY affordable! The cheapest drone for beginners which we start of with is a Hubsan. It starts at the ridiculous price of less than $20! 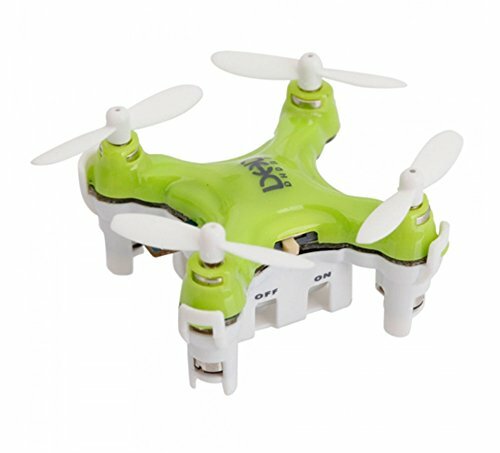 It is a new design with tiny miniature quadcopter, ultra-small design, built from durable materials with a super lightweight chassis. 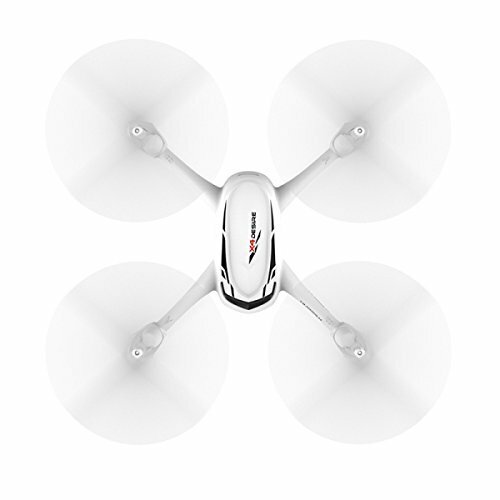 With the inclusion of the latest 6-axis gyro ensures stable performance. It features a specially designed canopy for more protection, built-in LED lights for front and back flying guide and low light flying, and a 2.4Ghz 4 channels transmitter. Strong anti-interference in the transmitter ensures long distance control, position-recovery technology, and a built-in gyroscope for stable flight. This cheapest of drones is rigid with a one-piece PCB frame, allowing nimble and precise flight, using coreless micro motors. At the ridiculously cheap price of less than $20, what are you actually thinking about? Go ahead and press the Buy Now button below! World's Smallest Quadcopter which equipped with latest 6-axis flight control systems. 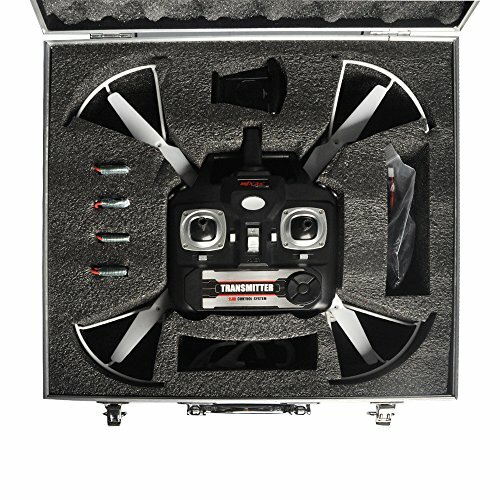 Features : 2.4GHz transmitter ,3.7V rechargeable LiPO battery and USB charger . 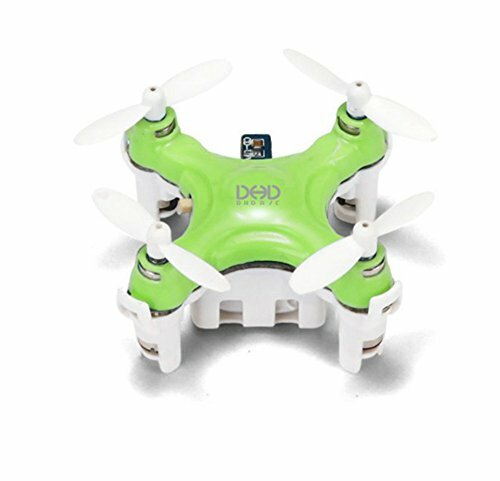 Mini drone can 360 degree flips &rolls and 4 Way Flipping (left, right, forward & backward). 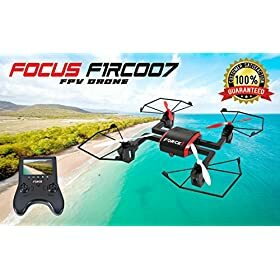 This is another cheap drone which is excellent for beginners. One of the smallest RC Quadcopter in the world with a 3D rollover, It has 6-axis gyro which can have more stable flying and can be easy to control. 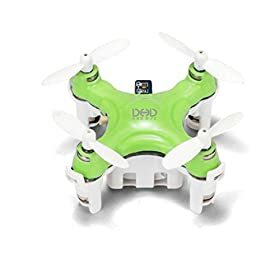 The DHD D1 (also known by a number of other names, depending on the supplier) is one of the smallest RC Quadcopter in the world with the ability to perform a 3D rollover. 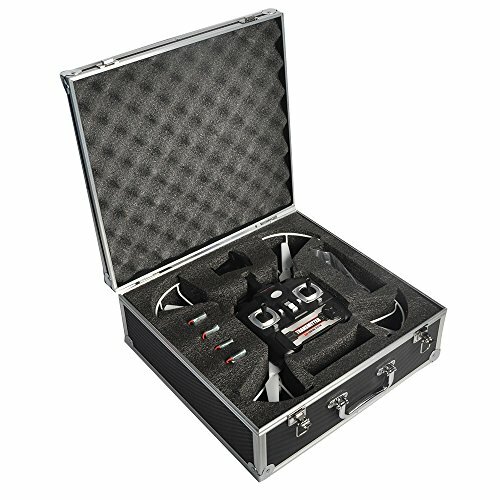 With it’s 6-axis gyro which can have more stable flying and can be easy to control, hence why it’s an excellent drone choice for beginners. 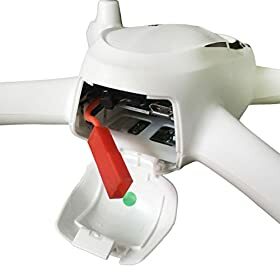 The dornes is also able to fly in any direction, the Headless Mode position ensures the drone need not to be adjusted before the quadcopter is flown – forward/backward, ascend/descend, turn left/turn right, 360-degree rotation. 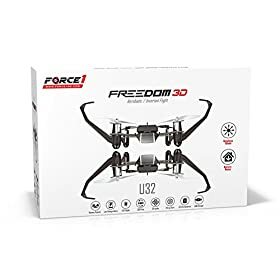 It also features lightweight airframe feature with good durability making it great value for the ridiculously cheap price you are paying for it. Ready to give this drone it’s maiden flight? 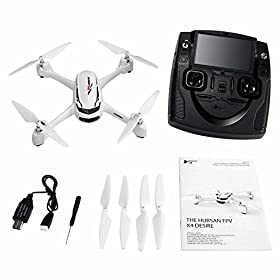 Go ahead and get it from the Amazon supplier below. 4 channel which can fly forward/backward,ascend/descend,turn left/turn right,360-degree rotation. 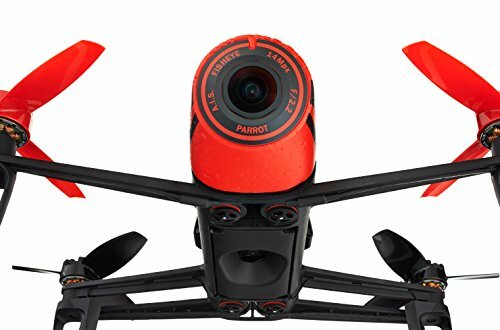 The Parrot Rolling Spider MiniDrone is quite an amazing piece of technology, which has a feature which is quite different from the rest of the cheap drones we’ve seen so far. As you can see, the Rolling Spider, is called that for a reason. It has a huge set of wheels which are great for performing rolling stunts against, floors, wall and yes – even ceilings! 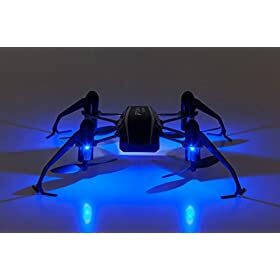 The Rolling Spider is suitable for both indoor and outdoor use, flying at up to 18 km/h or 11 mph.Y Even drone beginners can perform an acrobatic 360° forward or backward roll simply by double tapping on the control screen. As is the norm with most drones today, you can directly connect the drone to an iOS or Android smartphone using Bluetooth. Ready to roll? 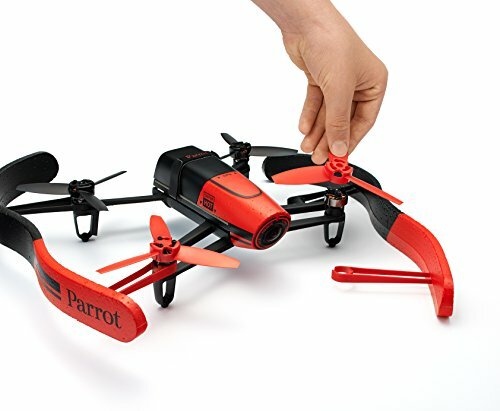 We’ve selected the best Parrot Drone suppliers for you below. UDI has been known for making great, best-selling, top-rated cheap drones. You’ve probably heard or seen the Blue Jay and other drones from UDI. 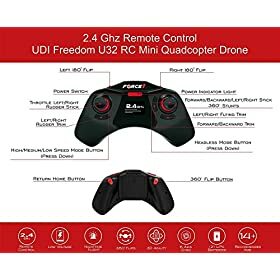 All of their best drones for beginners are cheap drones – you can trust on UDI for having a great small drone, at a bargain price. 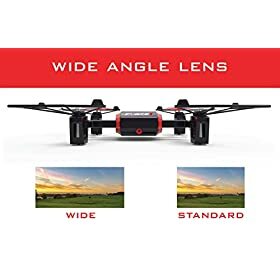 Let’s have a quick look at some of the features of these drones. 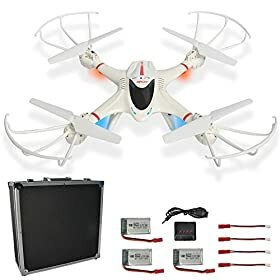 6 AXIS GYRO STABILITY: Provides stability, strong wind resistance & easy maneuverability for stunts 360º flips & tricks: The UDI 818A drone quadcopter can perform unbelievable stunts. 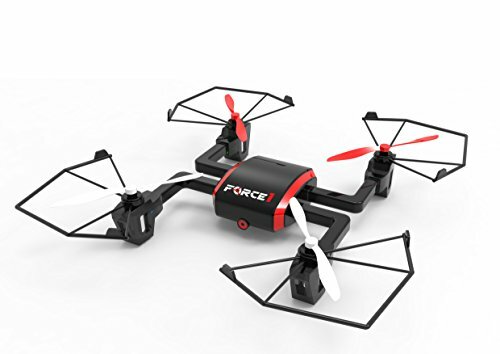 At the bargain price of less than $40, this cheap drone is a steal. Besides Syma and Hubsan, another drone you’ll frequently find on drone lists is the drone manufacturer UDI. They’re known to have a range of drones, from cheap drones for beginners to more expensive and feature-rich drones for the more advanced user. 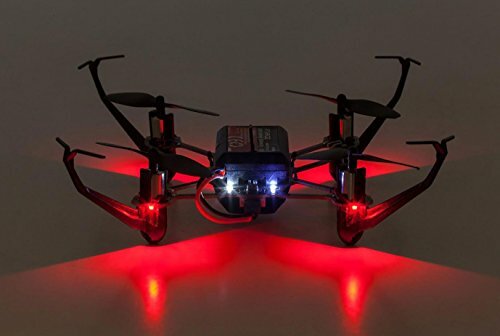 This great-looking drone has quite a great feature set given its cheap price of less than $40! ULTRA FAST: Its compact design and precision steering will allow you to zip around at high speeds. Batteries can last up 7-9 mins each. 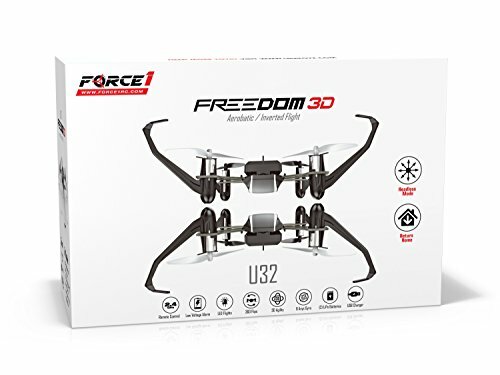 At less than $40, why not start your drone journey with the UDI U32 below? 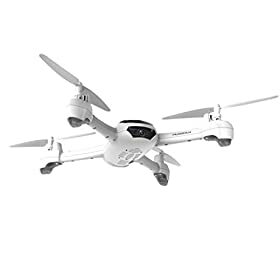 If you’re looking for affordable drones, Syma is always one of your best options – there are plenty of Syma drones models which are ideal for beginners. 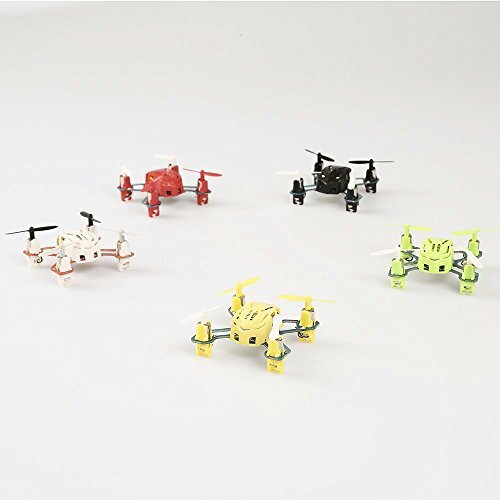 In fact, you’ll see that we actually listed quite a few Syma drones for beginners. 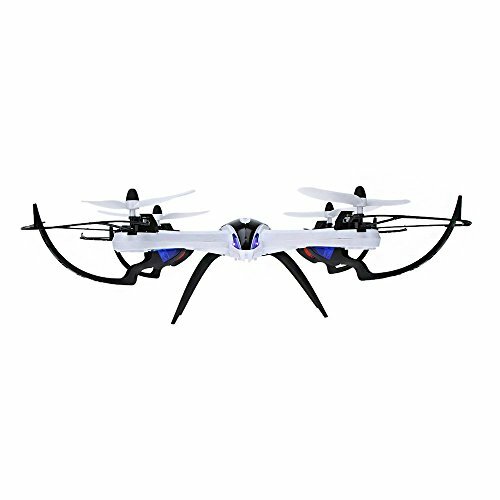 In fact, you’ll see that we actually listed quite a few Syma drones for beginners. 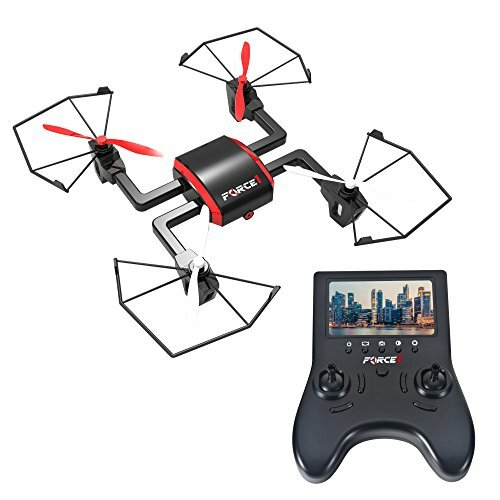 The Syma X11C, at a price of less than $40, is obviously a great cheap drone for beginners. But let’s have a look at its features. 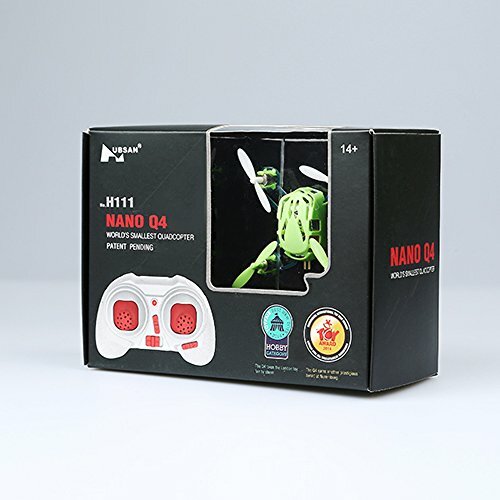 It’s has a reliable strong build, for better wind resistance and more stable, for both indoor and outdoor flight. The 4 channel can go up and down, forward and backward, turn right and left, sideward flight, moving at a 360 degree eversion. 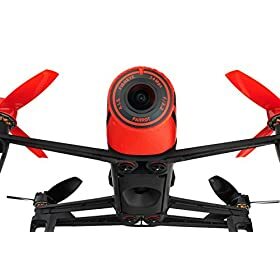 Since it’s a 4 channel drone, it’s able to go up, down, forward and backward, turn right and left, sideward flight, and can perform 360 loops. 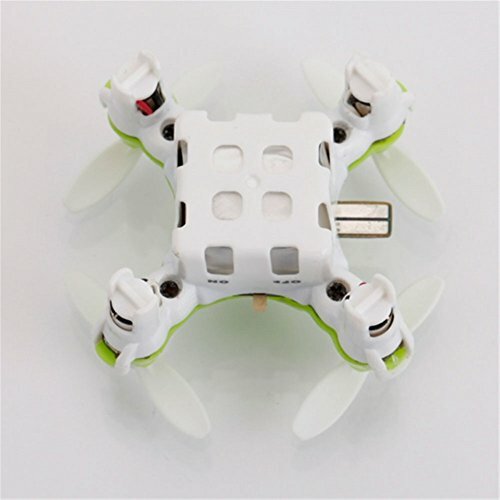 Want a drone which can fit in the palm of your hand AND in your pocket without getting damaged? 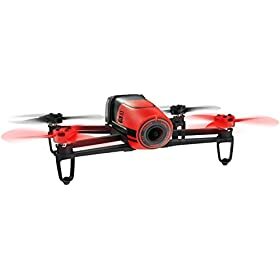 The Eachine E55 Mini Foldable Drone can also be classified as one of the cheap drones for beginners. 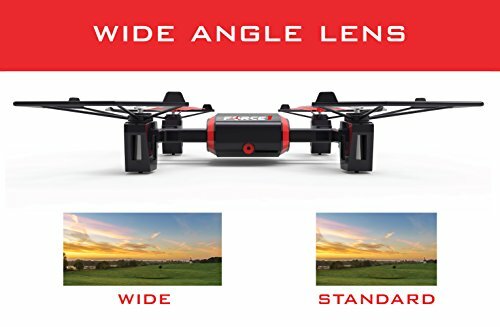 Have a look at the size of the drone, and how it can fold into a tiny size, straight into your pocket. This great small drone for beginners with easy to learn operation has a 6-axis gyro for more stable flying and easier control. 4 Channel which can do ascend, descend, forward, backward, left sideward fly, right sideward fly and rolling 360°. It has a foldable arm, small size, easy to carry with altitude hold mode function provides stable flight. It is easy to set up as Wi-Fi and can be connected to APP, APK system to take pictures, video, real-time transmission through the phone camera image. The E55 has foldable arms – so that you can close them and slip it into your pocket, a very small size. Of course, it’s very easy to carry. 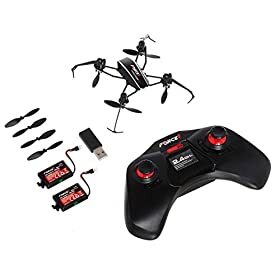 As beginner drones go, the Eachine E55 has an altitude hold mode function, since hovering is one of the most difficult manoeuvres to achieve with a drone. It is easy to set up as Wi-Fi and can be connected to any APP, APK system to take pictures, video, real-time transmission through the phone camera. 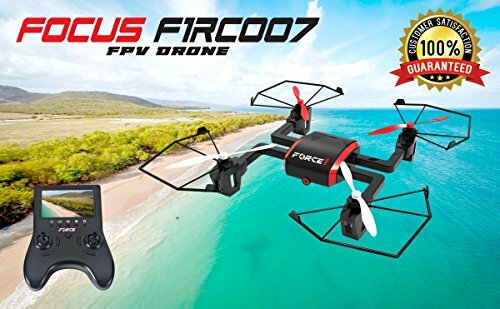 If you’re looking to impress your friends, this cheap drone under 50 is a great choice. 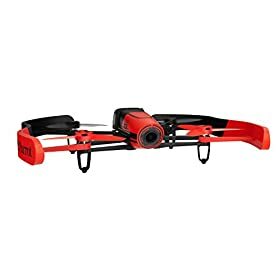 Have a look at the drone on Amazon. 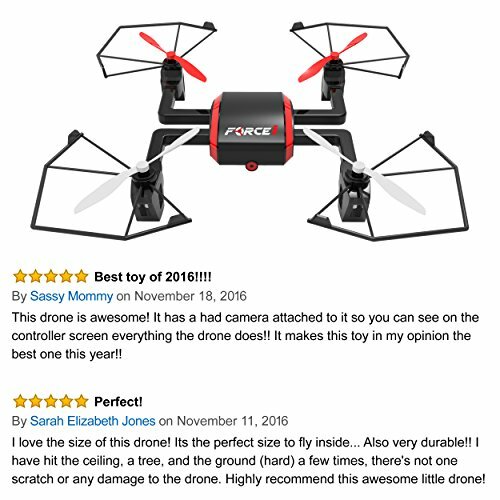 The Syma X5C-1, just like it’s predecessor, the Syma X5C is a best selling, top-rated cheap drone, with a price tag of under $50. 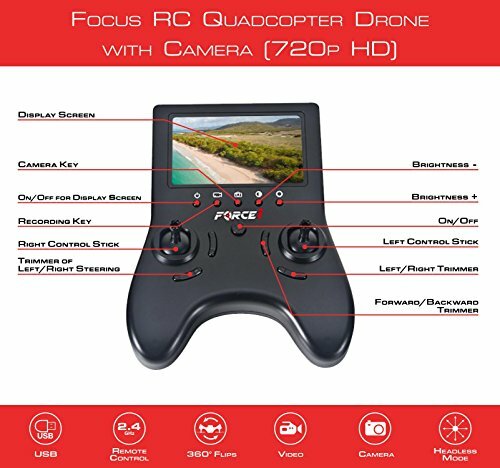 It is, for all intents and purposes an upgraded version of the X5C, with the major upgrade being that it is now equipped with and HD Camera and a built-in 6 axis gyroscope for more precise hovering. Just like most drones, the X5C-1 has plenty of control options – Up, Down, Left, Right, Forward, Backward, Leftward flight, rightward flight. 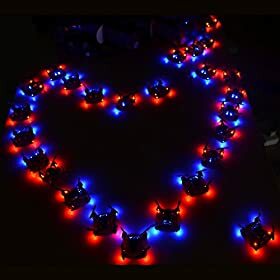 Using spread spectrum technology for further remote distance, best anti-interference ability, and least power consumption, one could fly more helicopters at the same time; its reaction speed is 100 times faster than other radio control. 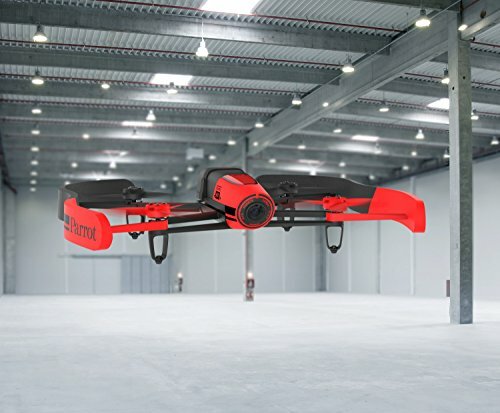 Amongst the drone stunts, the X5C-1 can perform are the 360° continuous roll. 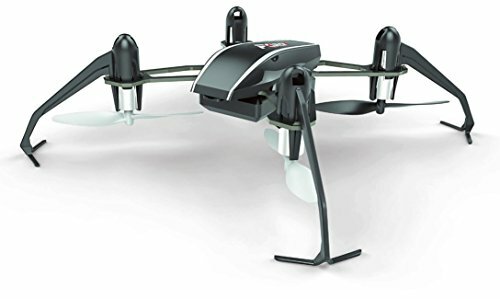 The Syma drone is a great starter drone for beginners. The cheap price of less than $50 means you really don’t need to bother about burning a hole in your pocket. Go ahead and press the Buy Now button below. 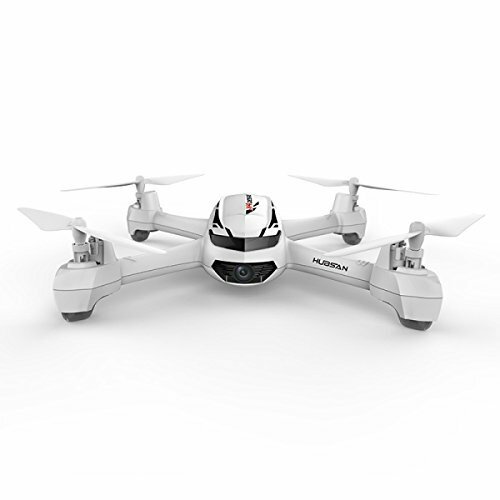 The next on our list of affordable drones for beginners looks absolutely great! Have a look at the image below. Looks sleek doesn’t it? 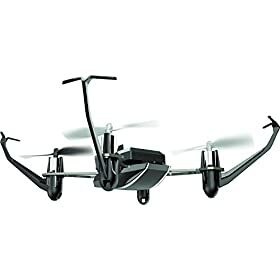 The NightHawk DM007 is sleek, dynamic-looking drone that’s capable of high-flying HD recording. 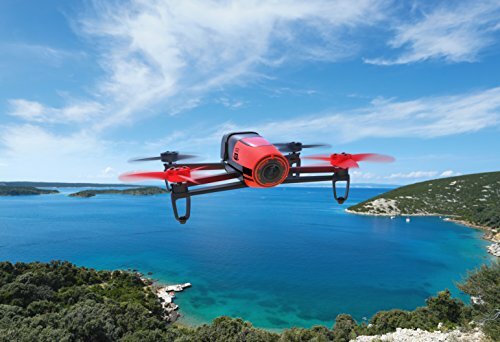 The drone’s 2-megapixel, 720p HD camera gives it the ability to capture amazing aerial footage. 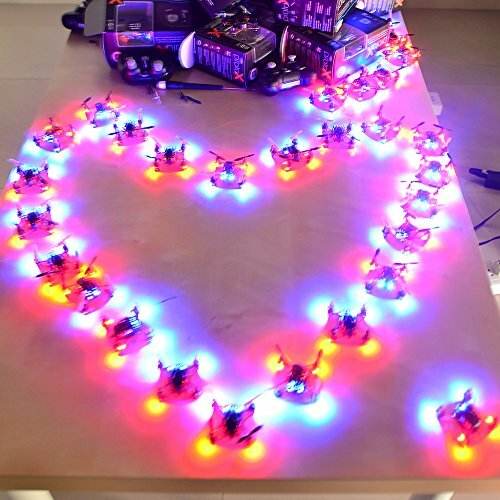 The placements of the LED lights on this quadcopter are incredibly unique, ensuring it can fly at night without losing its track. 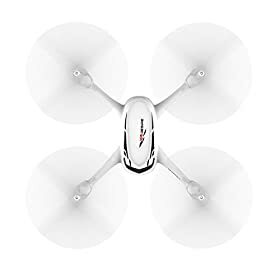 One of the top features on this drone is the camera as it comes with a removable 2-megapixel 720p HD camera. 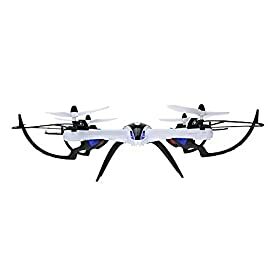 The NightHawk DM007 is an excellent beginners quadcopter since it does not require drone registration with the FAA. There’s plenty of spares, making it easy to repair if you damage after a crash. 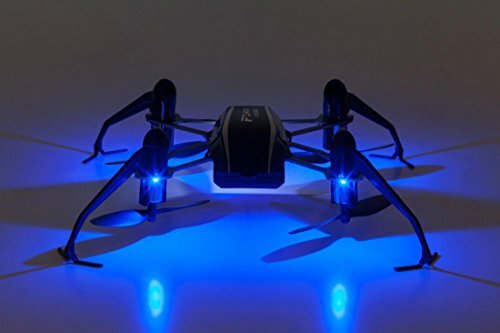 Like most drones for beginners, the Night Hawk performs 360° Flips including left, right, front flips, back flips. The 6-axis gyroscope makes for precise hovering capabilities, also with the failsafe headless mode. 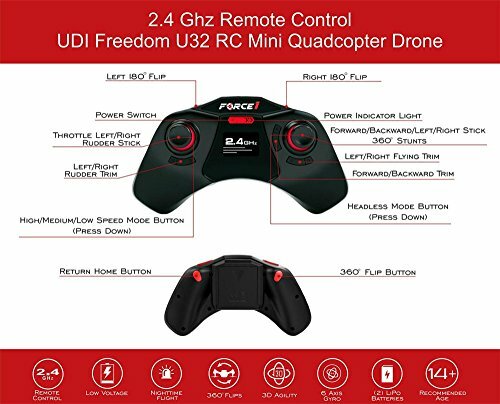 2.4Ghz spread spectrum technology remote controller with 100-150 meters range for further flying, and the best anti-interference ability. 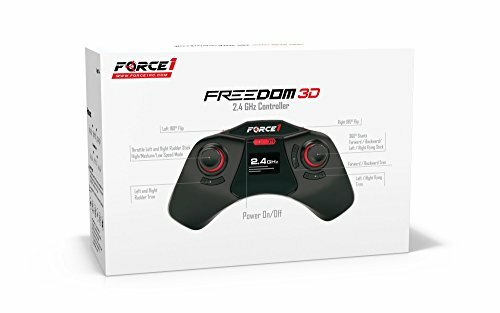 Fast and easy for anyone to fly. 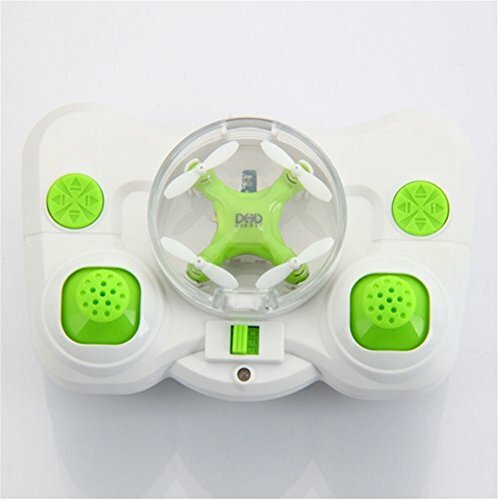 Crabbing left & right, flips , and 360 degree turning and rolling, super easy to land. Ready to buy? Go on and go ahead and make your purchase now! The X6 can flip perfectly at the height of 1meter from the ground, with strong and unique design, X6 has been tested at the harshest conditions with exceptional ability to prove the stability and durability of this cutting edge new design. 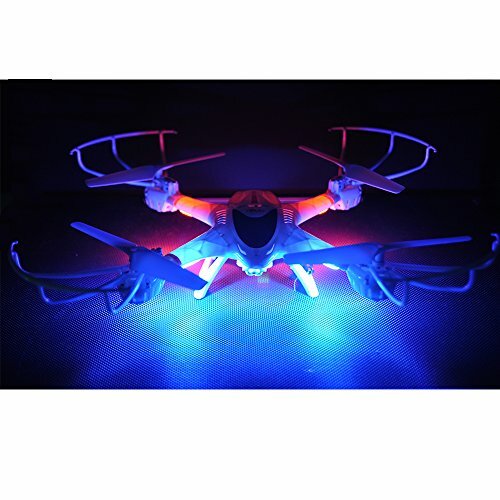 Tarantula X6 utilizes bright LED lights for night fly and a 6-Axis gyro quad-rotorcraft flight, strong stability, can easily implement various flight movements, stronger wind resistance, easier to control, outstanding power efficiency, Unique supplier which adopts professional propeller with EVA shock mounts to offer the better protection and a 2.4G technology adopted for anti-interference, even more than one quadcopter is flying at the same time they will not interfere with each other. No need to worry about losing the orientation with outstanding orientation mode. 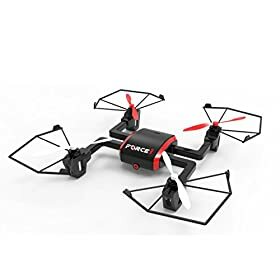 We can’t have a list of cheap drones without mentioning the Force1 U45 drone – one of the most popular beginner drones. 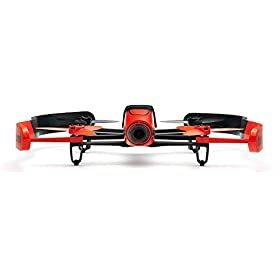 But let’s have a quick look at what this cheap drone for beginners can do? ALTITUDE HOLD FUNCTION – SUPER EASY DRONE FOR KIDS & BEGINNERS TO FLY: Makes controlling the drone a breeze for beginners and stabilizes aerial photography. 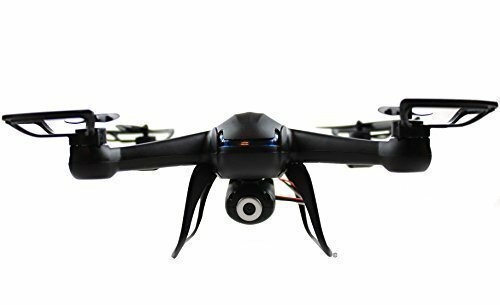 This is the ideal beginner drone with tons of the latest features typically found on higher-end models. 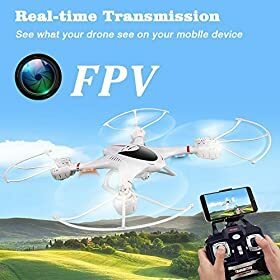 VR DRONE with FIRST PERSON VIEW: Watching a live streaming video feed of your flight directly from your iPhone or Android mobile device with the FPV WiFi feature. 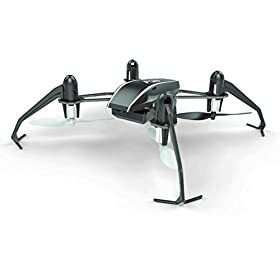 ONE TOUCH TAKE OFF AND LANDING: Drone automatically hovers at a set altitude after takeoff and before landing making it easy to control and maneuver, especially for beginners who are not yet skilled. 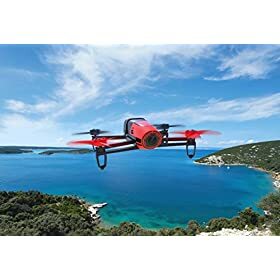 These features really make it an ideal drone for beginners. You can see that this drone has excellent reviews and at a price of less than 60 bucks, you can click the Buy Now right now! 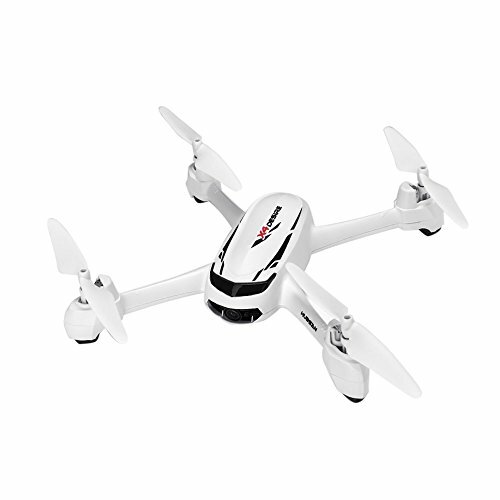 The MJX X400W is another great choice on our list of best drones under a 100 bucks. But what are the capabilities of this cheap drone? 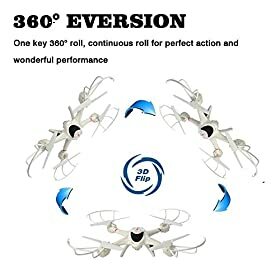 ONE KEY 3D ROLL: With the latest technology of 6-Axis Gyro flying control system, it can fly very stable and take better pictures and it can finish the 3D roll with one key, it is very easy to use even for the beginner. 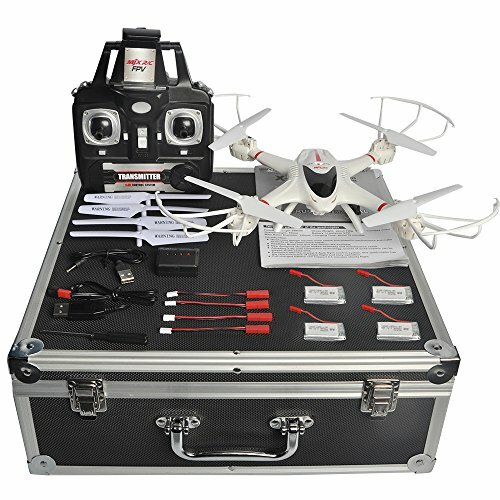 The MJX X400W is an excellent choice as a cheap quadcopter. 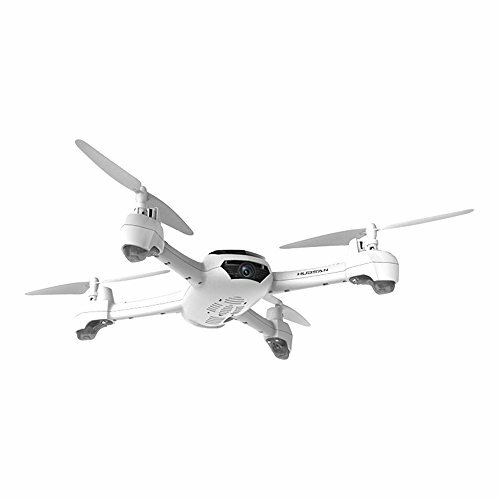 We’ve found you a great supplier for this drone. GREAT VALUE PACK: Best seller MJX X400W drone white packed in portable aluminum carrying case, come with extra 3pcs 750mAh 3.7V Li-po batteries and 4 in 1 battery charger, in very attractive price. EASY FLY FUNCTION: 2.4G transmission technology makes it possible for several drones being flying at the same time without interfered each other. 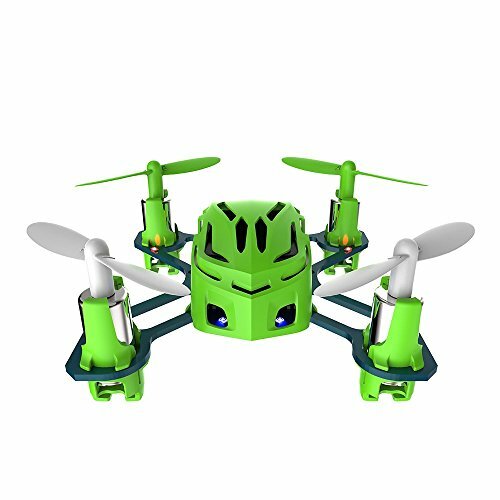 6 axis gyro makes the copter more stable and finishes 360° flip easily. One key return Function: help you control the drone more easily and more efficiently to find the way back instead of getting lost. 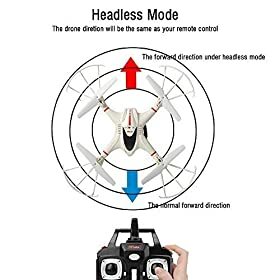 Headless mode: use it when you can't distinguish the head and tail to call back your drone. The next part of our list of cheap drones takes us to a bit of a higher level of drone, which is still cheaper than $200 – keeping it very much in the affordable drone list. 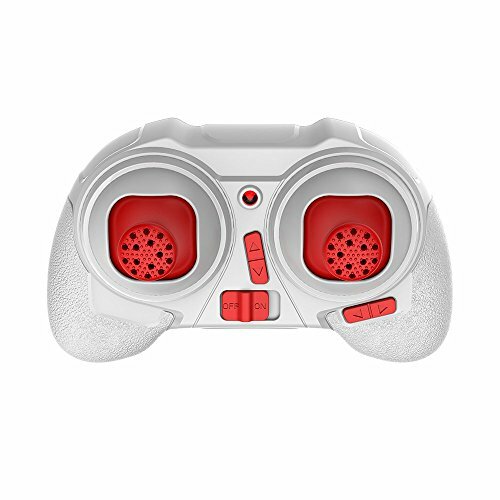 RETURN HOME FUNCTIONS: it has a feature that can return the drone right back to you with the push of a button! The drone has an inbuilt 720P HD camera; it can be tuned amazingly to capture stunning pictures and videos from the sky, with GPS auto-positioning system, accurate positioning location, and perfect advanced follower. 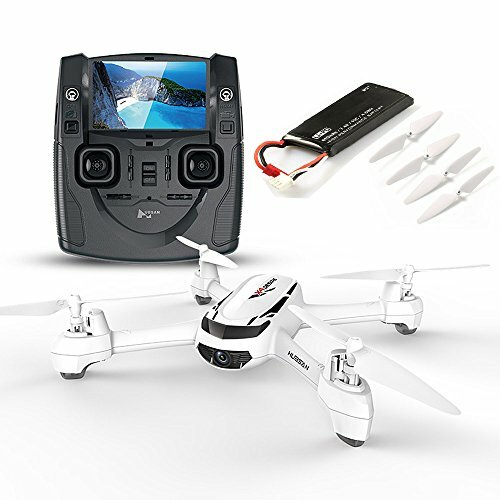 Follow me mode with GPS enables the H502S flying itself to capture any adventure wherever one is positioned, 5.8G FPV Real-time Video Transmission: it can share the videos and photos to the LCD display at any time anywhere with headless mode function, no need to adjust the position of aircraft before flying, with one key return function, makes it easily to find the way home. GPS auto-positioning system: With GPS auto-positioning system, accurate positioning location, perfect advanced follower. 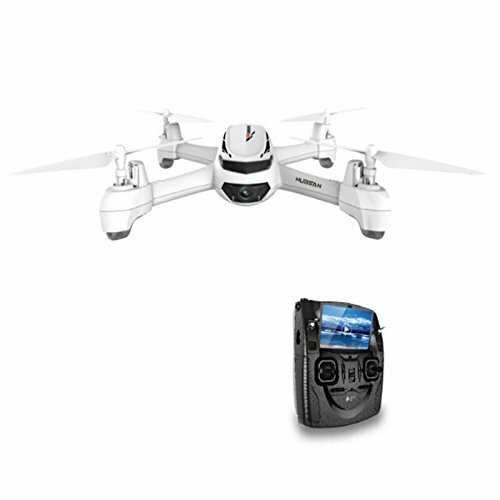 Follow me mode with GPS enables the H502S flying itself to capture your adventure wherever you are. 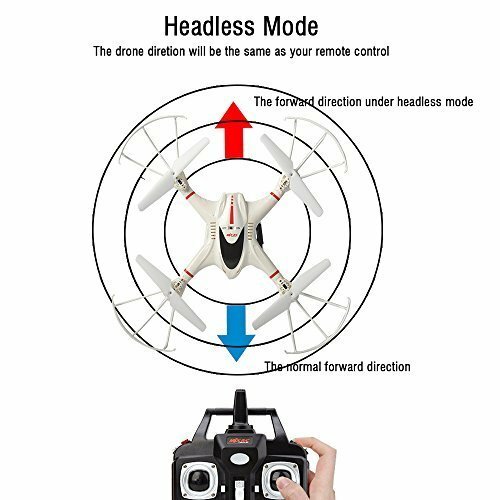 Headless mode: With headless mode function, no need to adjust the position of aircraft before flying and with one key return function makes it easily to find the way home. 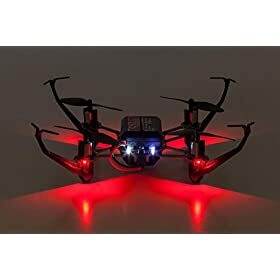 Though some of these cheap drones for beginners are fragile in nature, we shouldn’t be too careful while using them, because the price of all these drones above is relatively affordable – all of them are below 199 dollars. 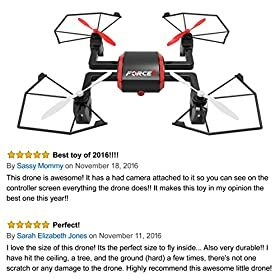 Thank you for the list of cheap drones. I was shocked to see some that are just the size of a coin. I bet they are very easily taken away by strong winds. Do you suggest attaching a tracker to it just in case? 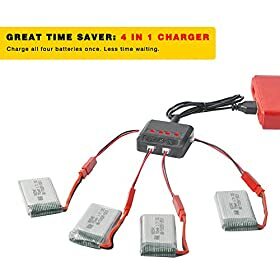 The small ones wouldn’t have much range in reality – and probably not enough power to carry a tracker on them 😉 Best to fly them indoors most times. Thanks for this! 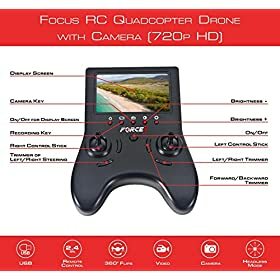 I can finally buy my own drone without spending too much. Agree! Most of them are only for indoors since it’s prone to get lost when it’s used outside. 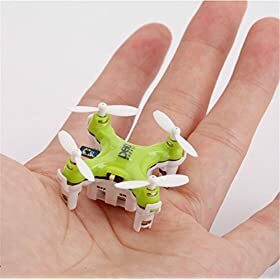 However, It’d be also great for those a ‘little bit bigger’ mini drones like MJX X400W FPV Drone to have a gps tracker slots/carrier, knowing the fact that its size are bigger than a man’s palm but its components are not that heavy unlike the normal drones, which made them easily blown away by the wind.